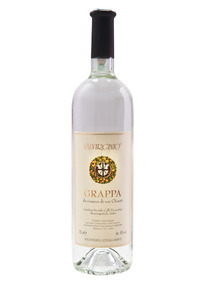 Grappa obtained starting from the distillation of grape pomace gained in the first pressing of Chianti wine and distilled from our distillery Deta of Barberino Val d’ Elsa. The distillation process takes place in continuous direct steam with subsequent redistillation of alcohol fusels with vacuum columns. Crystal clear look, presenting a persistent and stimulating perfume and an intense flavor, balanced with a slightly fruity final sensation. 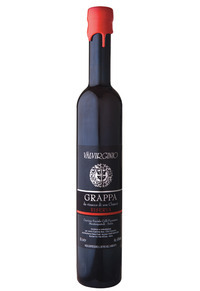 Grappa obtained starting from the distillation of grape pomace gained in the first pressing of Chianti wine and distilled from our distillery Deta of Barberino Val d’ Elsa. The distillation process takes place in continuous direct steam with subsequent redistillation of alcohol fusels with vacuum columns. The product thus obtained is followed by a further period of at least one year of aging in small oak barrels. Clear look, slightly amber, presents an intense and balanced aroma toasted flavored notes and the soft and distinctive characteristic of a product aged in wood. Quality product that distinguishes the Tuscan winemaking tradition, starting with a careful and scrupulous selection in the field, leading to the withering of the best grapes trebbiano and malvasia del chianti. This dehydration process will continue through December, after a soft pressing, we get a mash that will be introduced in casks of different woods and with capacities between 100 and 200 liters. Here the alcoholic fermentation, long and slow, and also its aging, and this will continue for at least four years, because the name we gave it derives from the long period that you have to wait before the product can be bottled. 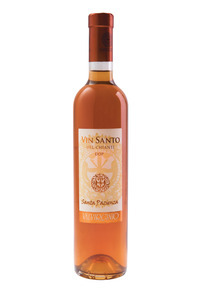 The color is amber, to the nose notes of almond, honey and dried fruit in general stand out. The taste is soft, fine and intense, very persistent, with an aftertaste that reminiscents notes of dried fruit and toasted wood.